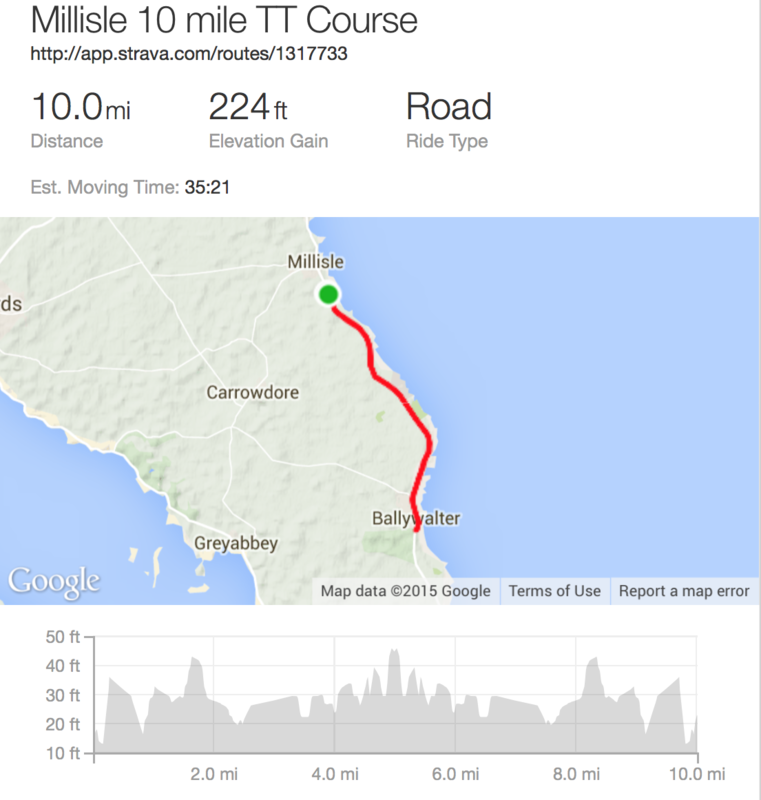 The Millisle 10 mile time trial route starts and finishes on the A2 outside Millisle (opposite Woodside Gardens). The turn is just outside Ballywalter (alongside gate into estate). Please take particular care at the turn. Sign on is in the lay-by alongside start/finish point.